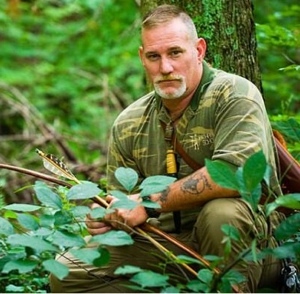 Dave Canterbury, survival expert and co host of Discovery channel's Dual Survival and founder of the Pathfinder school shows us how to create an ancient hunting tool, the Swiss arrow. The Swiss arrow, a weapon similar to the Atlatl, can be constructed using common items as Dave shows in this video. Dave's Youtube channel is probably the most vast and and detailed compilation of survival/primitive living information on the internet. It includes tutorials, gear reviews, and everything in between, truly amazing stuff. Dave is also one of the only two real celebrities we know of that responds to Youtube comments the other being the very talented Shelley Duvall. If by borked you mean broken thanks for the heads up. We fixed it.